If you are looking for work, it’s important to connect with people who might be interested in hiring you. Be strategic and put your resume in the hands of hiring managers who are in need of your skillset. There are a number of things you can do to ensure your resume gets into the right hands. Use online networks to promote your resume. Employers may search online databases for resumes when they are in need of filling positions. If you use services like LinkedIn, you can also share your resume and credentials with industry professionals through a vast virtual network. Make sure your resume includes keywords employers are likely to target, like “healthcare marketing” or “electrical engineer”. Be specific! Work with recruiters who have connections. Recruiting professionals have relationships with top companies in your area and can get your resume in front of the right people. Research staffing companies that cater to the industry you’re interested in. That way, you can get your foot in the right door and increase your chances of scoring an interview. Provide your resume to your personal network. Make sure people you know, as well as people who work within your industry, have access to your resume. Share your resume with friends, family, former co-workers, college alumni offices and industry organizations in your area. Eastridge Workforce Solutions helps job seekers get their resumes in the hands of top companies in their area. If you want to make connections with businesses that are hiring people with your skill set for temporary or full-time work, we can help. 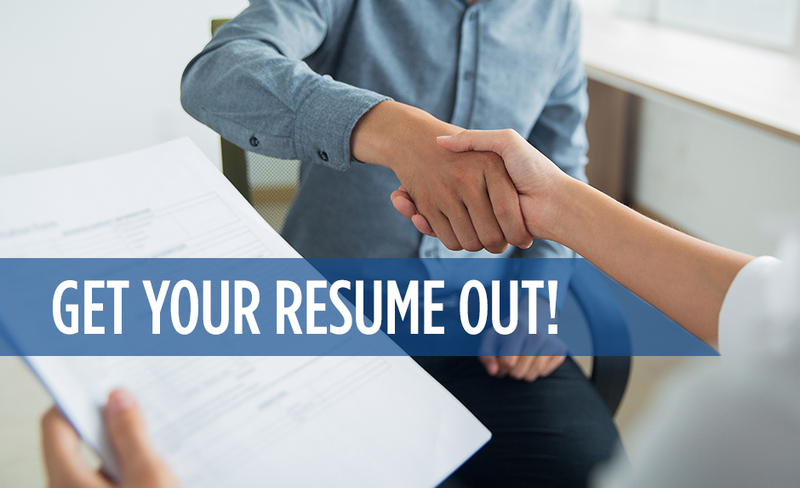 Contact us today to learn more about the assistance we offer in getting your resume out.